Early on the morning of January 25 the streets of the Colonial City were filled with lights, cameras, and action as a film crew was hard at work filming the upcoming Kevin James movie “True Memoirs of an International Assassin”. 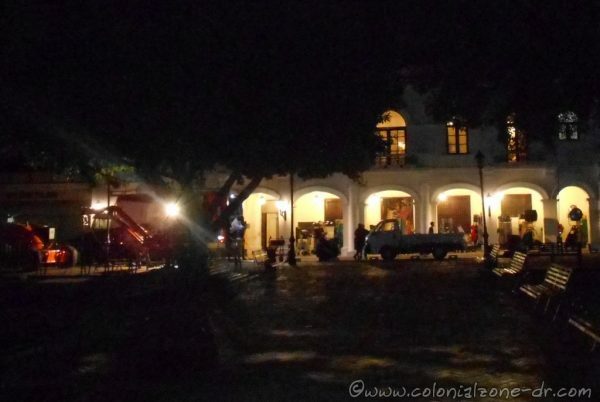 They were filming at the Palacio Consistoral across from Parque Colon. The Palacio was brightly illuminated and it looked like the building was glowing in the early morning. 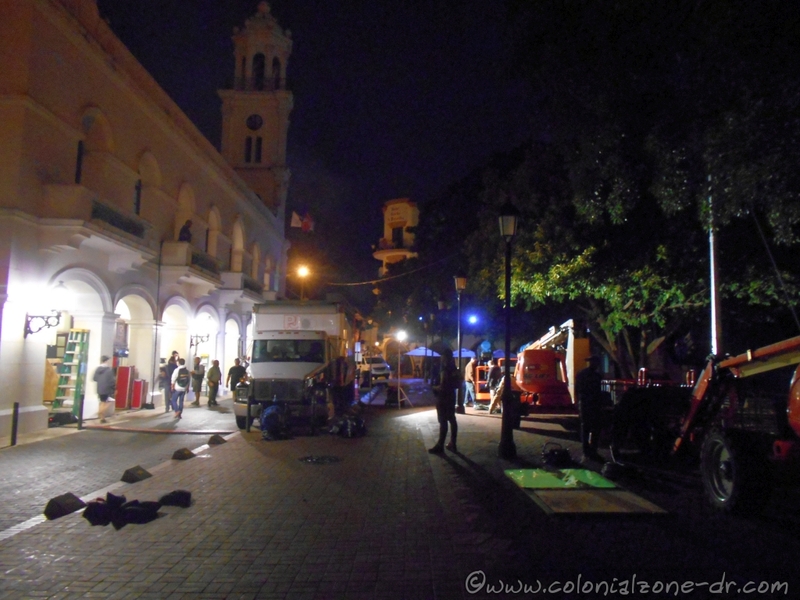 The area was teeming with life as humans, trucks, generators, lights and wires were everywhere as they filmed away. 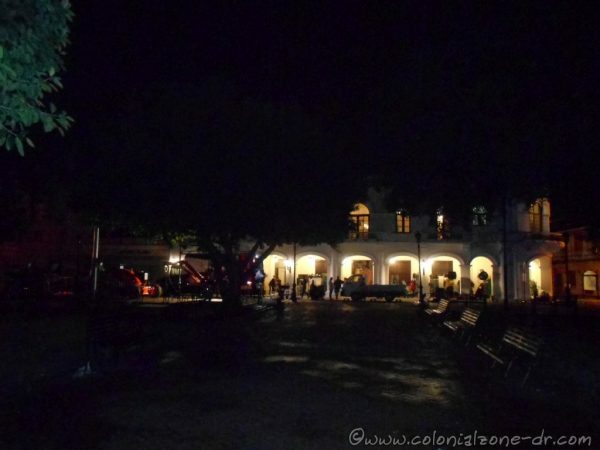 There was also some action at the CODIA building where breakfast was being served for the cast and crew. 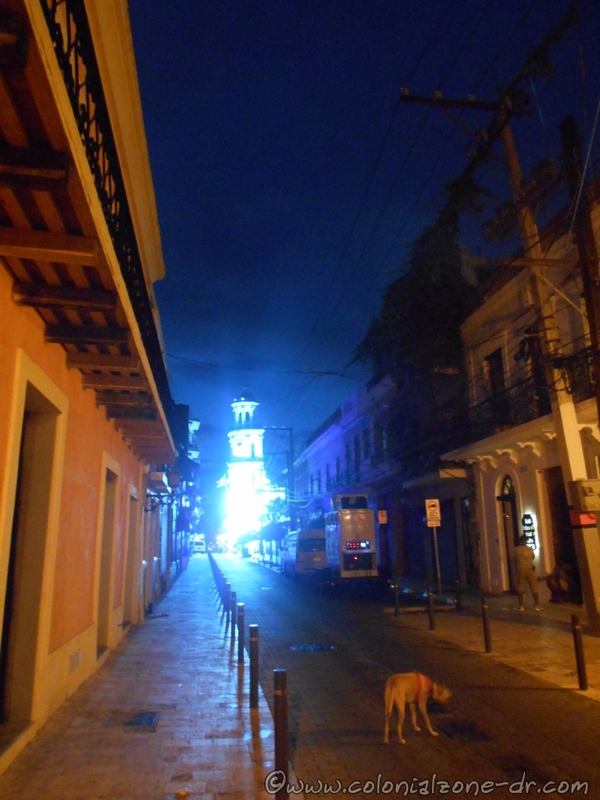 Palacio Consistorial in Colonial Zone, Santo Domingo, teeming with life in the early morning. Netflix got the rights to produce and distribute this original film making them move up in the film industry as they become more and more powerful making and distributing new and original movies and programs. It will be available for viewing later in 2016 exclusively on the Netflix streaming service. 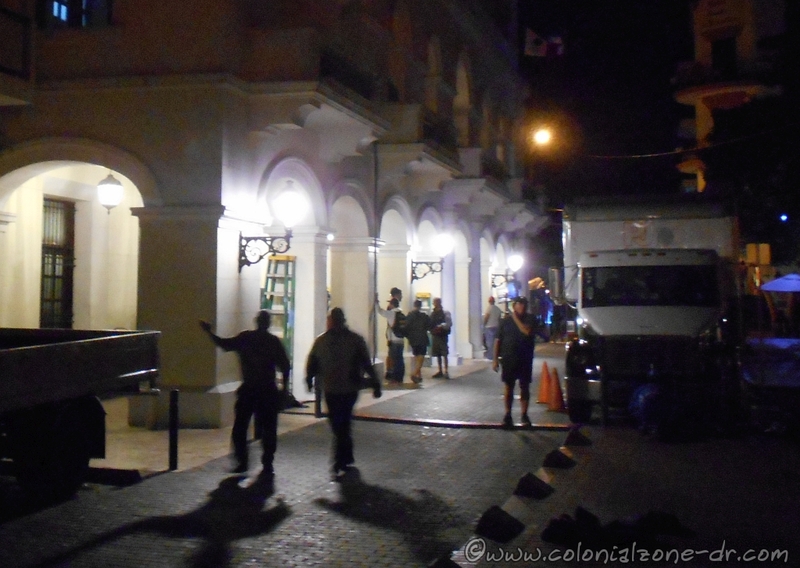 News - Editorial film, Kevin James, movie, Netflix, news, True Memoirs of an International Assassin. permalink.